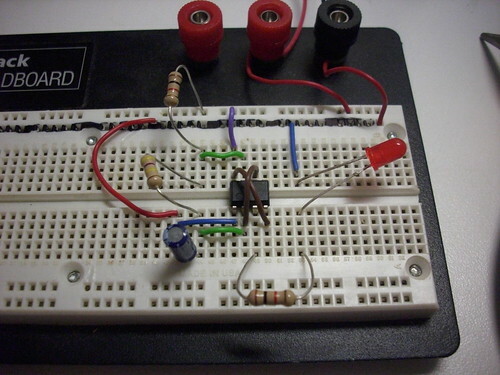 I finally built a working 555 timer circuit with a blinking led. That’s basically the “Hello World” of the electronics world. I was so proud of my myself, then I showed it to my wife, and she patted me on the head and said “That’s nice, honey.” Anyway, I think it’s cool. Here’s a super awesome picture of my 555 timer in action.